Built for gaming purposes - choice of my girlfriend whom using it for TheSims 4, but for me ultimately into first person shooting games. Quite ok for PUBG loading at 4K with 144hz monitor. Excellent in CSGO. Apex without 4k. Upgraded build from previous mini itx setup from Cougar QBX. This is because GPU was suffocating for the heat balance(standard setting with factory fans). Currently at mid atx, NZXT H500 doesn’t offers much rooms to move around. Settings at 4fans (2intake 2exhaust) Built is fair and nothing extreme. GPU fans running auto to meet the "ideal" temp around 62 and 65 degrees Celsius when under load while gaming. CPU sits firmly around temp at 45 degrees Celsius when under load while gaming too. Swap done with Aorus GTX 1080ti. new to the website? or just wants to go through the hassle of finding the parts. No doubts I'm very fresh and new to pcpartpicker. And this was my first built too. Yeah. I saw that faulty and I’m gonna edit the part list again. You thought you had issues before with a suffocating GPU. Now that you've installed it vertically, you're going to be choking it with two hands with those fans pushing up against the tempered glass. The best results I have seen online for fan configuration on the NZXT H500 has been both top fans being set for exhaust (stock) and a 280mm AIO set up on the front panel as an intake. This case design has been noted to run slightly higher on CPU temps, but with negative airflow, lower GPU temps. Yes you’re right. Before switching to H500, GPU was running at 78 degrees Celsius. I’ve installed vertically using cablemod expansion which is away from the glass door, it would not trouble the GPU at all, highly recommended for this. Regarding about the fans setup, which previously was negative and it was for photos capturing only. Whereas CPU is running on AIO, pretty decent temp on gaming though. And there’s only a placement for top fans setting except you mod the case itself which I am not doing it. Actually, if you look at the images, the submitter is using an aftermarket vertical GPU mount - the card is mounted far from the tempered glass. There will be little to no issue with cooling the card - (I've had 3 different gpu's mounted in an aftermarket vertical mount with no cooling issues) - at least due to mounting position. For his sake, I hope you are correct. The NZXT vertical mount they supply if you buy the HX00i models supplies this and it puts it incredibly close to the glass. The result is perhaps greater aesthetics but poorer performance due to an increase in GPU temperatures. I would like to hear an update from discotoppin with numbers on whether he has experienced temperature improvements or not. This certainly has me curious. Agreed - standard vertical mount placement on almost every case with the option places them too close to the glass/acrylic, cutting off air supply to gpu fans. OP - it looks like you have the Cablemod vertical mount. How do you like it? Easy to install? I would disagree; my first card in the vertical mount idled around 40 at rest; just a bit over 60 under load. I gave that card to my sister and she is seeing about the same temperatures in a standard mount. Other reviews using non-standard GPU vertical mounts show similar if not the same temperatures; sometimes lower. Regardless about how it mounts. I’m happy which I gain aesthetic and a 10degrees difference from the previous case. No hassle installing Cablemod vertical mount, take note at the GPU stand up without sag. Great product. Current GPU heat at 68degrees Celsius full load while gaming. I remember with the standard setup it would be 64-65degrees Celsius if I am not wrong. I would give in for the aesthetic over 3 - 5 degrees of Celsius difference. Now looking at it you have 3 exhausts and 1 intake from the top. You basically want to have as many intakes as exhausts. And normally going from right (intake) to left/top (exhaust) considering the gpu and cpu are there and heat normally rises so it's perfect for exhausts to be on the rear and on the top. Dragging hot air to the front of the case is too much and not efficient. It was 2 in take and 2 exhaust. 3 exhaust was for photo snaps. XD I’ll switch them and work on it soon. Thanks for the advice again, heading off now. See you soon. Yeap will swap the air flow maybe by the weekends. And see how much difference is the temp difference. Basically the front fans were meant for aesthetics only. GPU fan at 60% load with a decent numbers of temp on going rather than leaving it factory auto. Shall compare with the in let and out let of the fans by this weekend. Cheers B) Currently GPU idles at 39, while lowest at 35. And while under load at 68. What kind of case fans did you use. Also What cpu cooler is that? More to the point, aside from CPU, what parts have you used in this build? You're destroying people's lives on here by only posting one part. The fans are the Corsair LL-series, and the CPU cooler is a thermaltake brand, i cant really tell though. I like the build, I just wish you would please answer everyone’s comments and put more parts in the list. Thanks! How is that GPU temps on the vertical GPU like that? I am thinking of getting something similar to show off the GPU more. Idling at 55 Celsius while 68 Celsius under load. 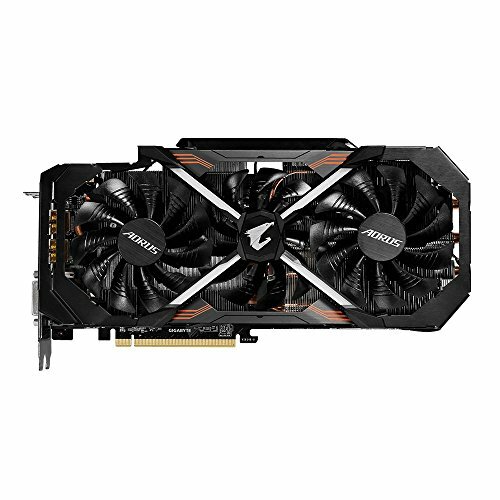 Would this build be good for video editing? And where did you get those cables? What is the source of pink led besides the front fans & the bottom of the case? Coolermaster led strip. Only plays solid/static addressable colors. Can u give me its amazon link? Why did u remove the coolermaster magnetic led strip? It’s still there. I’ve relocate the position only. Ones under the top inner, ones outer btm outer.